You probably all know by now that I'm pretty much obsessed with Yankee Candles, I always have one burning in my house without fail so when I saw Yankee Candle had their new Spring and Summer collection out I just had to treat myself to a couple of their new fragrances to try! I decided to pick up Riviera Escape and Summer Peach, I have already reviewed Riviera Escape HERE if you'd like to see what I thought of that one! Summer Peach (£1.80) is described as 'Ripe peaches straight from the orchard, warmed by the sun and begging for that first juicy bite' and my goodness this is one lovely scent! 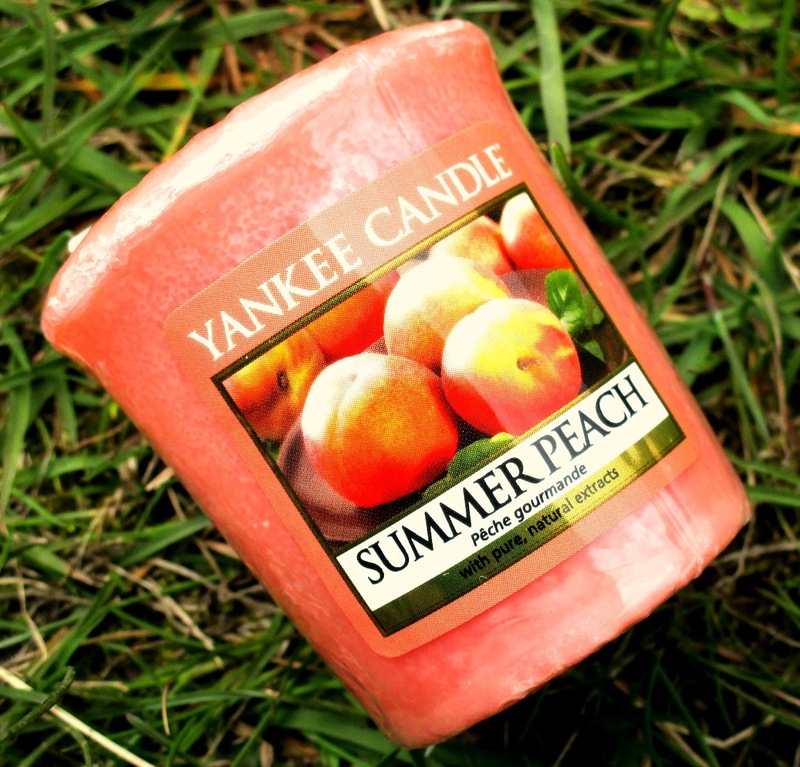 If your into your fruity yet sweet scents then your going to love Summer Peach, to me this combines a juicy peach scent with a sugary, sharp sweetness, it honestly smells so nice I could of easily eaten it he he! The scent throw of Summer Peach is good, I'd say like a medium scent throw, it's definitely not overpowering or sickly but it still fills my house with it's gorgeous juicy scent very quickly. All the Yankee Candle votive/samplers claim to provide up to 15 hours of fragrance and Summer Peach certainly really lasted really well. I actually used my votive over a few days and got a good kick of scent each time. I'll definitely be buying this little beauty again! ooooo these candle sounds like it would smell amazing! It's good it's not too overpowering too.